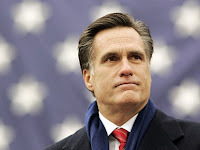 Politicana | UK & US Politics: A proven Mitt-stake? Heaven forbid, but, say two weeks ago, if an Al Qaeda inspired terrorist had happened somewhere in the United States does anyone really doubt that the political aftermath would see a rise in John McCain’s poll ratings to Barack Obama’s fall? I certainly believe so, as McCain has a reputation as a tough-talking foreign policy and defence brain with a fair bit of experience in such matters. Voters know this and would flock to him if such a dreadful event occurred. Yet such a dreadful event did not occur, what actually occurred is a meltdown of Wall Street and the credit crunch - and this has seen voters desert McCain. Latest polls have shown Senator Obama open up leads over Mr McCain approximately between 4-8 percentage points in the Presidential race destroying the considerable post-GOP convention bounce the Republican ticket did seem to be gathering. A fair few pundits have pointed to the electorate’s worry that McCain simply isn’t up to scratch with the money markets, as he is so visibly in the security realm, as rationale for the Obama bounce .The former Vietnam POW has even been quoted on record in the past saying he still needs to be “educated on the economy”. The real question is if McCain had picked, as many wrongly hedged he would, Mitt Romney - who has a reputation as a tough-talking economic and business brain with a fair bit of experience in such matters - instead of Sarah Palin as his VP Nominee, could the Arizonan have weathered this storm? Even if the ever sure-headed McCain is not asking himself the question, I am sure many in his campaign team are! Romney could even claim to have more knowledge in treasury matters than Obama who does not even carry some sort of a particular status as a financial whiz-kid, but is still thought of as a lot more grounded on the topic than the Republican Presidential nominee.